Skull Sessions are a varying, re-occurring discussion format created by Brooklyn Metal Works to consider specific ideas within the contemporary jewelry field and, more importantly, create community. All are welcome. Voicing your ideas and actively listening are equally important. If you have an article to share or a topic idea for the next Skull Session please email us! 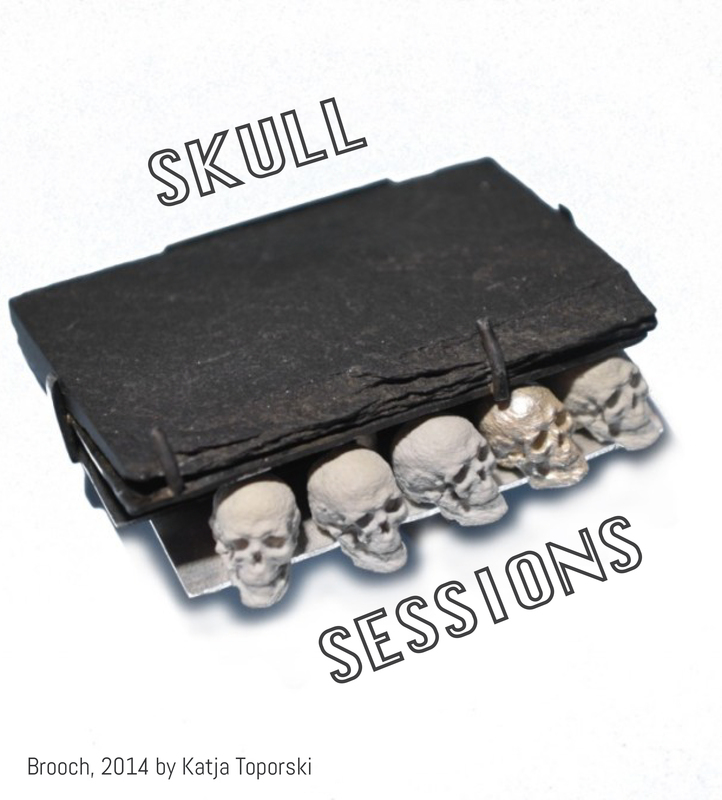 In the NYCJW Edition of Skull Sessions we invite you to join a local and national group of jewelers, educators, curators, writers, and gallerists to ponder, curse, shout for joy, and push each other to investigate the hurdles and hidden provocateurs in and outside of the jewelry field. Explore and create community while discussing topics such as the role of collaboration in your art practice, creating craft community, and the need for interdisciplinary criticality and guerrilla actions. As always, we aim to push each other to engage in a broader conversation about our work. How Much? is the first in a series of curatorial projects unpacking the perception of value and its relationship to craft practice. The panel and exhibition will be accompanied by an interactive online catalog which can be found at howmuch.online. This exhibition was on view at the Pratt Manhattan Gallery and curated by Damian Skinner and Monica Gaspar. Discussed the 5 part series on criticality recently published by Art Jewelry Forum. Held at Pratt Institute on October 1st for an Edit-a-thon dedicated to making American jewelry more visible on Wikipedia. This event was held in conjunction with AJF. For future Skull Session events, please sign up for our email list or check back here for details as they are announced.